Oh, the wrist pain... Birthdays! Submitted by irian on Wed, 2007-09-26 10:05. With the start of the school year comes a new planner. And the new planner is accompanied by the dreaded time spent writing the date on each planner page, as well as the wonderful experience of writing down birthdays. Recurring tasks like this keep luring me into the digital side, however, after having Google Calendar eating my carefully entered birthdays (:cries:), I would prefer to keep them on paper. I tried once to just setup monthly pages with birthdays, but if something is not on my current week, I won't look at it, and well, that doesn't do much good. How have any of you avoided hand writing birthdays into new planners every year? While manually scanning previous year planner and copying into the new one is a good way of cleaning up the list of relevant birthdays, there should be an easier way to transfer birthdays automatically into a new planner. Submitted by btrgrnmal on Wed, 2007-09-26 11:00. I had the same problem you do, until I started using a planner with a plastic page finder. When I used Franklin Covey, I designed an insert for their plastic pocket page finder that contained six months of birthdays on one side and six months on the back. Now that I have a planner with a non-pocket plastic page finder, I printed the insert on avery full-page label stock, cut it out and stuck it on my page finder. Submitted by shris on Wed, 2007-09-26 11:25. These days, I print my own planner. I use a mail merge to preprint all the holidays, birthdays, anniversaries, reminders, etc. You can find instructions for mail merging your planner in the template section. Another way is to print each birthday one time on an index card, punch it for your planner, and keep them in a back section of your planner until it's time to use it. Example: If you use daily pages like me and add one month at a time, when you put in the new month's pages, move the index cards for that month's events into the pages at that time. The nice thing about this idea is that the index card is large enough for other information besides the date, event, and schedule of recurrence--you can keep gift ideas there, measurements, likes/dislikes, a record of past gifts, favorite colors, pets, etc. Whatever you need to make the gifty thing easier. Then when you take the month's pages out of your planner, re-file the index cards at the back of your planner for next year. Submitted by ygor on Wed, 2007-09-26 13:15. I am planning to add this feature, but designing it cross-platform safe is the real challange. Submitted by Sara on Wed, 2007-09-26 11:45. 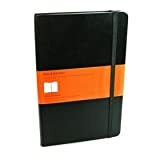 What about printing a nice list off from a computer for each month... laminating it (even just with clear packing tape) and using the binding system of your planner - insert it with that month? Submitted by Sara on Thu, 2007-09-27 16:42. Submitted by jonglass on Wed, 2007-09-26 12:27. My way of dealing with these things, back when I used paper for them (use computer now for this--iCal is great!) was to write everything into the montly planner. Then, at the beginning of the month, I would transfer everything that was on the new month's monthly calendar onto my weekly/daily pages (whichever I was using at the time). This included birthdays, school or later long-term work assignments (those were usually duplicated in my tickler file, too), etc. Also, as the year wore on, I always kept monthly cals for every month in my planner, but weekly or daily pages only for the current month. As things came up that didn't fit into the current month, I simply wrote them onto the proper monthly page. Submitted by Katrina on Thu, 2007-09-27 02:24. I use two fobster cards (business cards) for my list of birthdays. Each year that I get a new diary/planner I use a little stamp I found at a craft store to mark each birthday in my weekly diary pages. (At the moment I'm using a week to a page moleskine diary). The stamp is a purple letter B, which works for me as all I want to know is that there's a birthday on that day. I only write in the person's name when I'm checking my appointments for the next month at the end of each month. You could use stickers, highlighters or a stamp to mark birthdays. Submitted by irian on Thu, 2007-09-27 02:48. I'll probably try mail merging later on... I don't even do it for dates yet, but it should make it very easy to add any information quickly to the planner. I like the idea of the page finder/insert birthday tracker. Can be easily transported from year to year without any work, and accomplishes the function of being right there in my face.